KEN YUSZKUS/Staff photo. 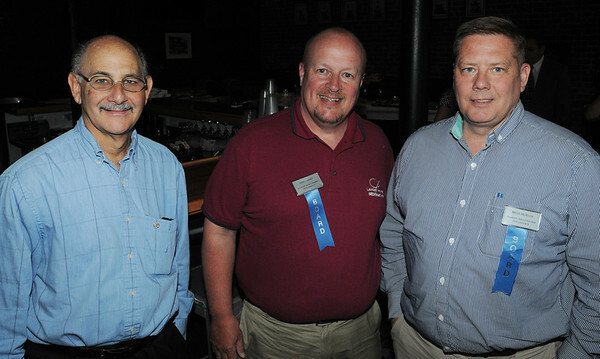 From left, Herb Harris of Padgett Business Services, John Landry of Landry Home Decorating, and Brian McHugh of Cranney Companies attend the Peabody Chamber of Commerce gathering at the newly opened Black Sheep Pub & Grille in Peabody. 6/2/14.